These are projects run by the Empty Shops Network. The network is sometimes commissioned to run projects, and has worked across the UK with partners like vInspired, Retail Trust, the Culture Quarter Programme, Development Trusts Association, Meanwhile Project, Royal Opera House, South Kilburn Neighbourhood Trust, Woodard’s The Littlehampton Academy and Worthing Regeneration. A series of workshops and discussions resulted in the publication of this report, at once inspiring and giving solid evidence for the activation of empty spaces in Southampton. A later iteration of the Workshops in South Kilburn, Shoreham by Sea, Rochester – this time in Sittingbourne – allowing local people autonomy by creating a space which enables them to programme activity. Run in partnership with Kent County Council. A pop up with the Amy Winehouse Foundation and her family, to mark what would have been her 30th birthday. Limited editions from the Amy Winehouse Fred Perry collection, Amy’s albums, artwork and a programme of activity to promote the work of the Foundation. 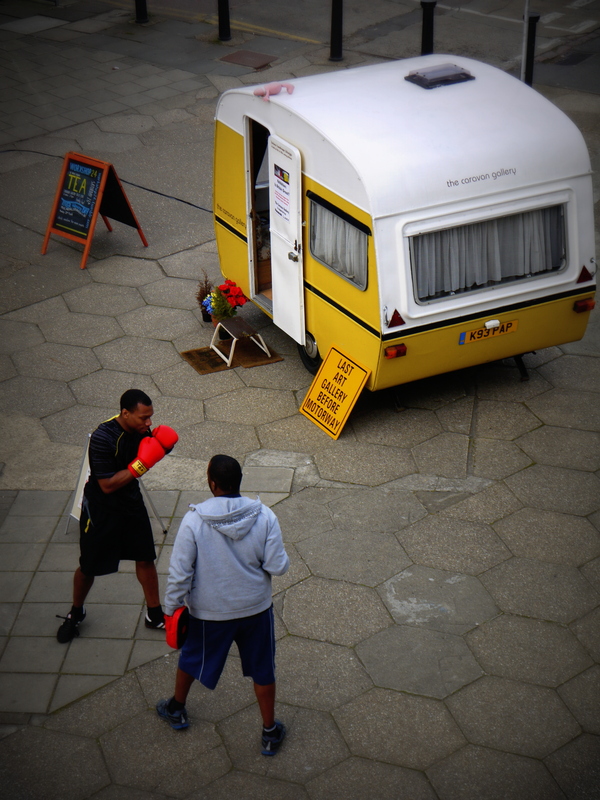 Two pop ups were devised with the team from Transported, a consortium given Arts Council England funds to tackle low levels of engagement in the arts. The pop ups in Boston and Holbeach were modelled on Workshop 24 (see below), opening every day for drop-in activities and providing a light consultation to inform Transported’s future work. They were programmed by Transported’s Carol Parker. Ten pop ups, in ten different place, each one created by thirty young people from the local area. That’s Retail Ready People, a project from vInspired and The Retail Trust devised in collaboration with the Empty Shops Network’s founder Dan Thompson. A series of action research workshops were funded by Arts Council England, and they produced a variety of creative outcomes – from a published report into pop up culture to new music inspired by empty shops. Created as a quirky, colourful temporary tourist information centre to test new ways of delivering information and services, this partnership with Worthing Borough Council used an empty shop which has now become the town’s permanent visitor centre. This shop was empty awaiting demolition and a new development. It first opened as part of the Empty Shops Network UK Tour, became an art studio and workshop called Agora, and then spent a year as Workshop 1a, a co-working space which held workshops and exhibitions alongside giving local designers, developers and artists space to make new work. Run in collaboration with the Church of St Mary de Haura and supported by Adur & Worthing Regeneration. Over 60% of shops in Peel Precinct were vacant when we took over Unit 24. 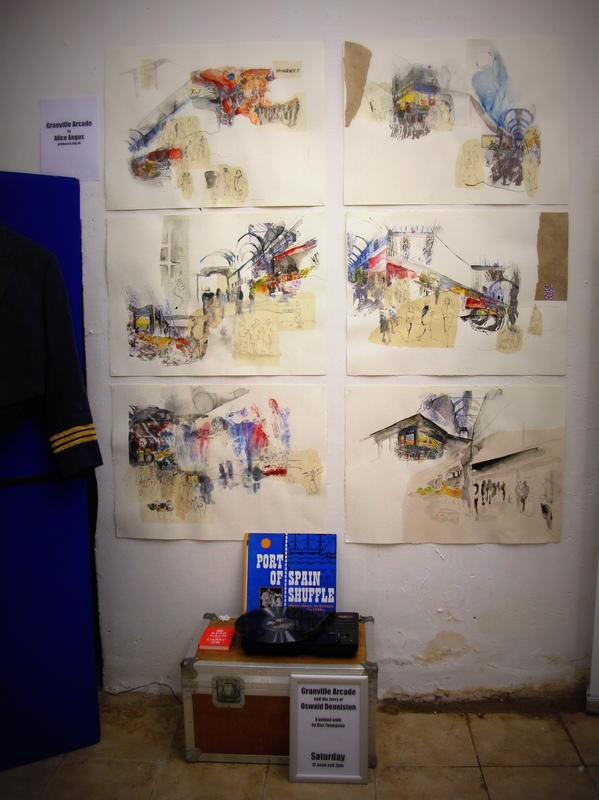 A four month programme explored alternative units of the council-owned spaces which are awaiting demolition, and warmed the area up for the neighbouring South Kilburn Studios, which opened as Workshop 24 closed. Commissioned by South Kilburn Neighbourhood Trust. 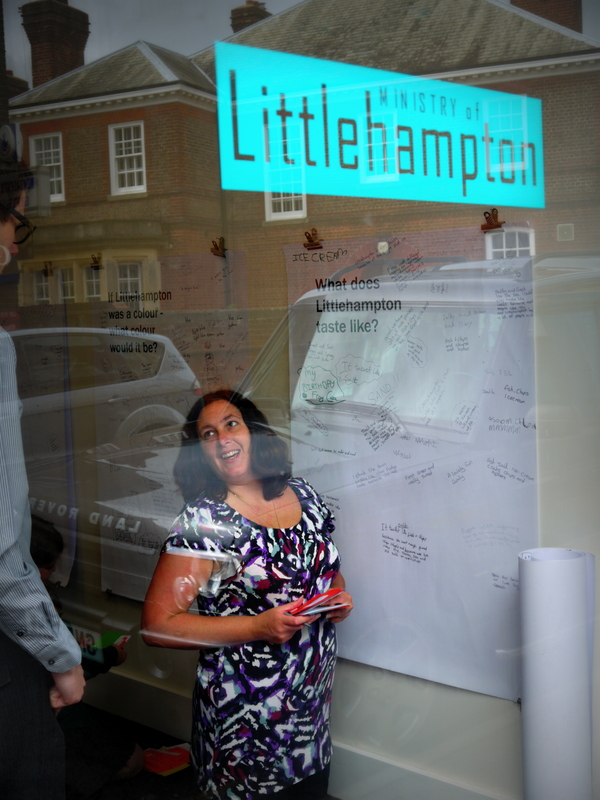 After sending questionnaires to a dozen local primary schools, we spent a week in a shop in this seaside town creating an alternative guide to the town from the answers we’d received, including such vital questions as ‘What colour is Littlehampton?’. It’s yellow. Devised by the Empty Shops Network and commissioned by The Littlehampton Academy. Bumper cars, inflatable coconut shy, art corner and much more created a stimulating space for children to spend their half term. A sold-out success delivered with Worthing Regeneration. 50 charities in a giant market celebrating upcycled and vintage goods, a range of events and hands-on activities, and exhibitions by local artists. 12,000 visitors in six weeks, and one of them took a ten year lease because he liked the building. A half-a-million pounds refurbishment later and the building holds 85 staff working in website development. Created with Worthing Lions and supported by Worthing Regeneration. A week with thirty young people working in major cultural institutions like the Royal Opera House, V&A, National Gallery and Somerset House. Exploring the area around Seven Dials and Covent Garden, participants created a podcast walking tour from Somerset House, through Seven Dials and on to the National Gallery; films about the seven streets off the iconic dial, and a collection of photographs of the area. Devised with the Culture Quarter Programme team from the Royal Opera House, and supported by Somerset PLC. Written for the government’s Our Place project, the toolkit was commissioned by the MLA and has been downloaded thousands of times. A practical guide to devising, planning, managing and delivering a pop up project, the toolkit has inspired and informed projects across the UK. The toolkit has been available from 2010-2012 as a free pdf, and printed versions have been given away at talks and workshops across the country. Arranged in five days, a short tour which took in Brixton, Shoreham by Sea, Carlisle and Coventry – one end of the country to the other. Artists included Alice Angus, photographers Jan Williams & Chris Teasdale from The Caravan Gallery, textile artist Natasha Middleton and NeB Media’s Steve Bomford. Funded by the Development Trust Association’s Meanwhile project. *These are links to Tumblr websites we created during the projects; please note that those sites are no longer maintained.